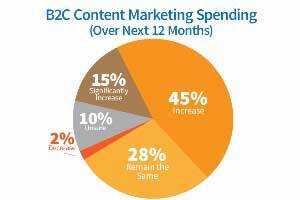 Tired of looking at the same old social media metrics from Facebook and Twitter? Ready to wow your customers, prospects and bosses with a brand new way of visualizing, exploring and measuring social media ROI? 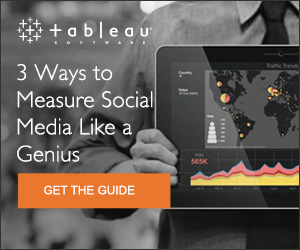 Check out this guide to learn 3 Ways to Measure Social Media Like a Genius. Marketing data is everywhere. But most of us struggle to make sense of it. Tableau Software lets anyone visualize data and then share it on the web, no programming needed. It's wicked-fast, easy analytics. Get your free trial today. Virtual Conference—Mobile Marketing Sign up for free!